The 220 people who call Allagash home realize they are at the end of the road. But they also say that is what makes the town and its inhabitants one of a kind and some are tired of it being used as a marketing tool. Over the years residents of Allagash have gotten accustomed to people with no connection to their community using the name of their town to market everything from beverages to boots. But word that a movie titled “Allagash” is about to start filming in western Maine may well be the straw that broke the moose’s back. The film “Allagash” stars Tom Berenger playing a retired veteran who finds a woman’s body and stash of money while hunting in northern Maine, according to Variety magazine. Soon, he’s fighting for survival against a group of criminals on the search for that cash. Shooting, according to Variety, will begin early this year around Bethel and Rumford in western Maine. Word of the filming location hit the residents of Allagash last week when the Portland Press Herald reported that the film was written and will be directed by southern Maine native John Barr. Barr, according to the Press Herald, spent time growing up exploring the Allagash region and is committed to the setting’s authenticity. Suza Horvat, the film’s producer, did not return messages requesting comment on the film’s location. However, Allagash residents don’t think authenticity can be had if the movie is filmed anywhere other than the real Allagash. It will fail to capture the uniqueness and character of their community and the people who call it home, they said. Located in northwest Aroostook County near the Canadian border where the Allagash and St. John rivers meet, the paved Route 161 ends and dirt roads lead into the North Woods. Allagash is a community of extremes. With a landmass of 131.5 square miles, it’s the largest town by area in Maine. But it’s also one of the state’s smallest with a population of 236 divided among 76 families, according to the 2010 U.S. Census. 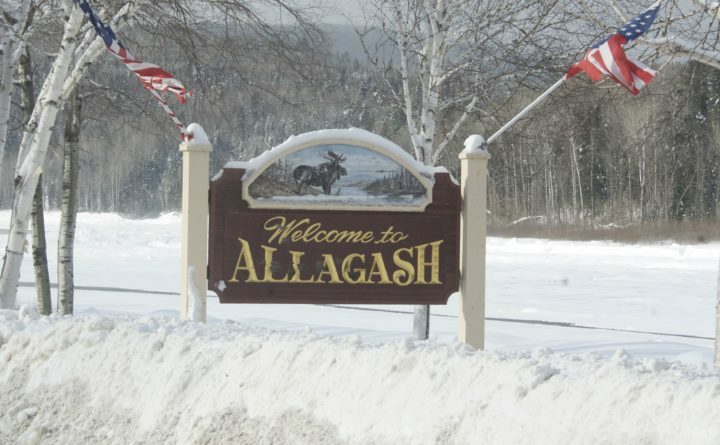 Filmmakers cited distance from a major metropolitan area, extreme weather and lack of Wi-Fi access among the reasons Allagash was not considered for the movie’s filming location, according to the Press Herald. If the filmmakers had taken the time to visit Allagash, lifelong resident Colleen Jackson said, they would have found a community ready and able to welcome a movie making crew in town, along with the needed amenities. Down the road at Allagash Wood Products, owner Louis Pelletier III shook his head and laughed when he heard about the movie — and the reported reasons for shooting it downstate, including lack of Wi-Fi in the area. And Pelletier knows. He conducts the bulk of his hand-crafted furniture business online, shipping his chairs, tables and other products around the country. Residents of Allagash don’t wish the filmmakers any ill will. In fact, residents stopping in at Two Rivers love the idea of their town being the movie setting. They are just tired of their town’s name being used to brand products that have nothing at all to do with Allagash. According to the United States Patent and Trademark Office, there are 30 registered trademarks for the name “Allagash,” including the popular beer brewed by Allagash Brewing Co. The popular beer is a particular sore spot for the dry town, where alcohol cannot even be sold.